Jameel Arts Centre ...a hub for contemporary arts. The contemporary arts institution, one of the first in Dubai, is to become home to the collection of the Abraaj Group Art Prize, which includes major works commissioned through 10 years of the leading prize for artists from the Middle East, North Africa and South Asia (Menasa). 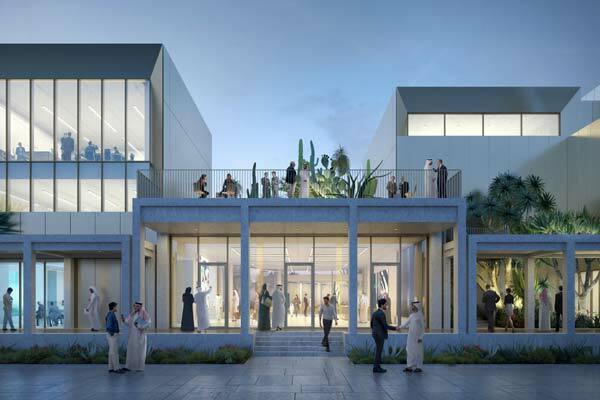 The Jameel Arts Centre – a three-storey multi-disciplinary space designed by UK-based firm Serie Architects – will also present curated contemporary art exhibitions and act as a hub for educational and research initiatives. Situated at the tip of Dubai’s Culture Village, overlooking the Dubai Creek, the centre includes more than 1,200 sq m of dedicated gallery space, a 300-sq-m open-access research centre, flexible studio and events spaces, a café and bookshop, as well as seven desert-themed courtyards designed by landscape architect Anouk Vogel. The Art Jameel team, aided by its advisory council, is currently compiling diverse and critical resources for the centre’s research centre, while educational programming includes establishing a youth council -- reflecting Art Jameel’s commitment to documentation and community learning. The news is the latest in a series of announcements that have marked a period of growth for Art Jameel, including a new complex – Hayy: Creative Hub – set to open in Jeddah (Saudi Arabia) in mid-2019; a dynamic partnership with Delfina Foundation; the launch of a multi-year commissions programme; and the growth of heritage projects and institutes in Cairo, Jeddah and other sites in the Arab world and beyond.